This gardening season has been particularly discouraging for me. It’s normal for me to feel this way in late summer, but this year it started much earlier, in spring. 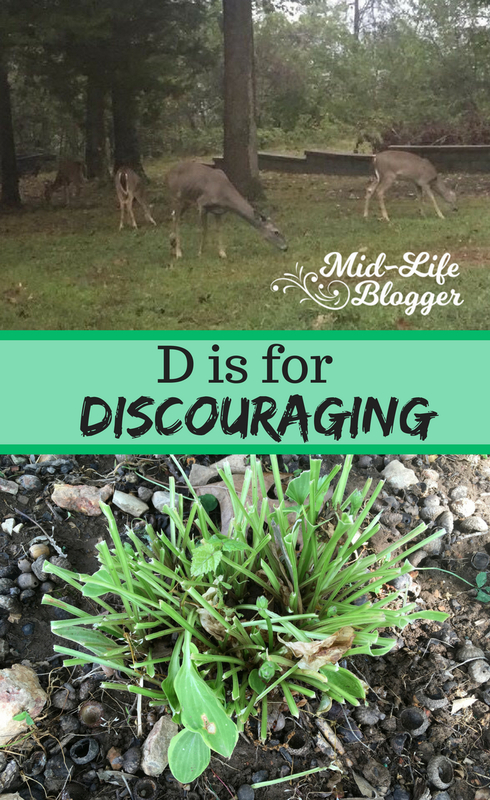 While dwelling on the details, I realized that oddly, they all started with D.
To begin with, there were plants that should have come back after the winter that didn’t. Last year I planted some salvias that were supposed to be perennials but they died. The top half of my 8’ Crepe Myrtle also died. 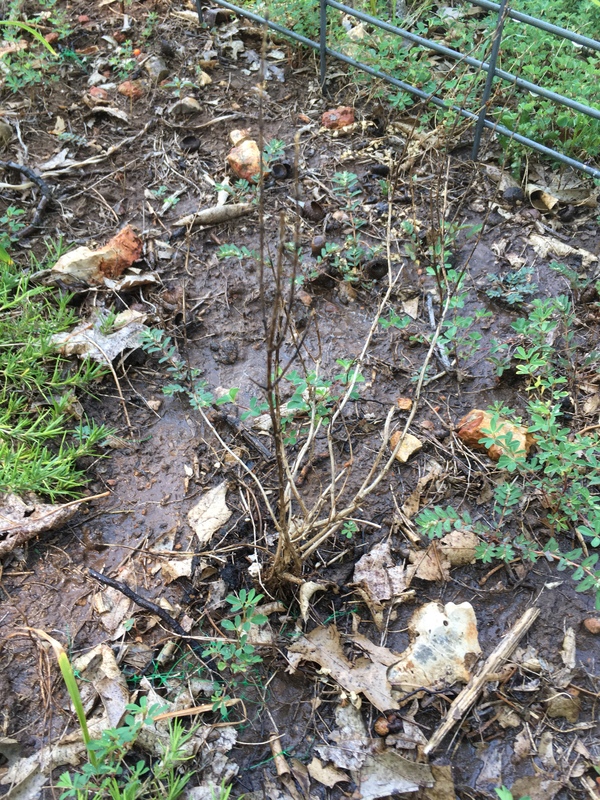 We had an unusually hot and dry spring and before the season was over, my gardens were already gasping for water. I normally don’t have that problem until later in the summer. Living on a rocky hilltop with excellent drainage, keeping up with watering can be a challenge. I don’t have an irrigation system, so I have to do it manually. I actually love to water the plants because I notice things that I might not otherwise, such as tiny seedlings, weeds that need to be pulled, a camouflaged vegetable or troublesome insect, but having to try to keep up with it so early in the season was daunting. I had decided to scale back my gardening efforts this year. There were other things on the horizon that I knew would take me away from it so I didn’t want to invest as much time and money. I actually considered not vegetable gardening at all, but I couldn’t bear to do nothing. Normally, I order a lot of seeds and start many of them indoors, but instead of ordering new seeds, I opted to use what I had on hand, and I didn’t start any of them indoors because I knew I’d be going out of town and wouldn’t be able to take care of them. Even my basic efforts have proved futile. Some of my seedlings died in the heat. I’ve planted okra three times but something keeps eating some of the seedlings. I had nice looking green bean plants that flowered, but never produced any beans. It turns out to have been a good year for scaling back my efforts! Deer are beautiful animals and they often appear in our yard. My husband and I have enjoyed watching them for many years without any problems…until this one. I’m guessing because of the dryness, they started jumping the fence around my flower garden to munch on my plants. Oh, I’ve read those lists of plants that deer like, but this time it was personal. They liked MY lilies and MY hostas! As much as I hated it, they had crossed a line. 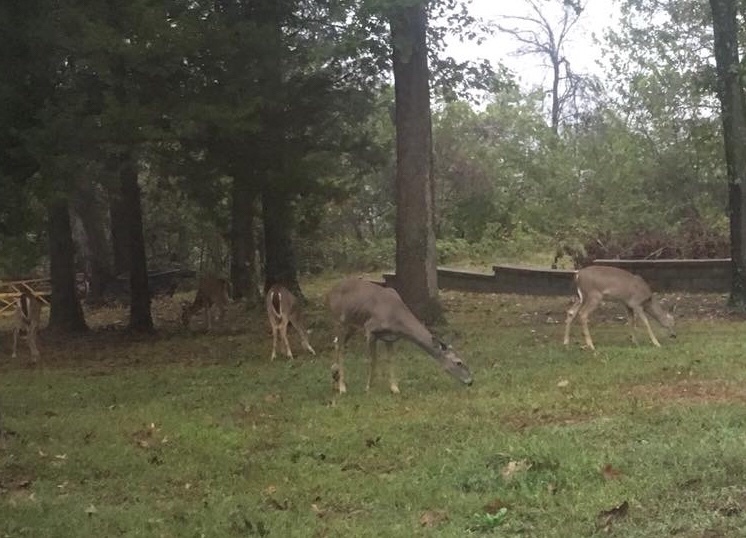 First thing in the mornings, my husband and I started looking outside to see if we needed to run them off. Evidently, deer like sedum, too. Another concern is tick-born diseases, which are becoming more prevalent. When I wondered aloud why that was, my husband suggested that it was because the deer were more protected, and therefore more widespread. That makes a lot of sense to me, and yet another reason to deter them from hanging out around our home. Deer grazing peacefully in our yard. For a gardener who loves green, flowers, and rain, the lack of them is cause for a mild depression. Throw in an increase in being away from home and less time for babying my plants, and it just feels overwhelming! The hostas are struggling to put out new leaves, but they went ahead and bloomed anyway. The Queen Anne’s Lace put out new blooms, but the nipped stalks were shorter, so now I know I can “pinch back” plants where I want them shorter. 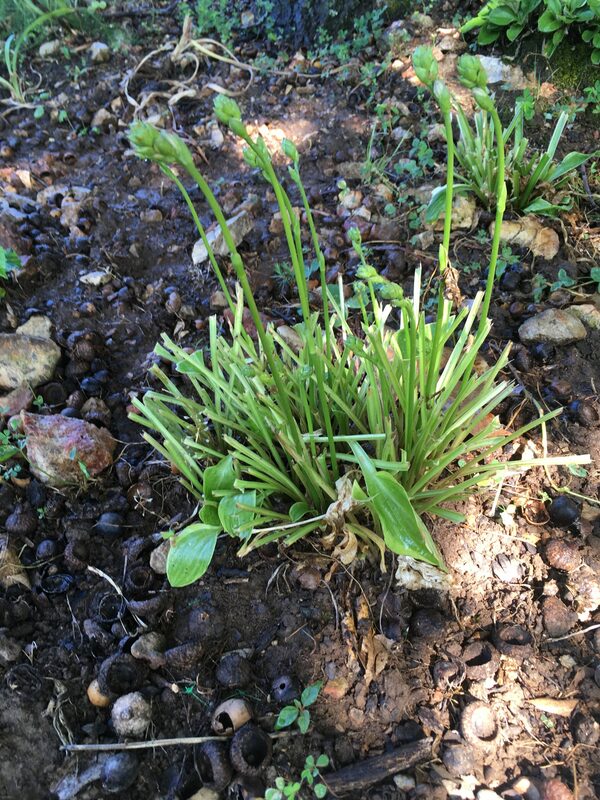 The deer ate many of the daylily blooms, but they seem to rebound and produce more. Daylilies have saved the season for me and become my darlings of the summer. I’ve been pleasantly surprised at how many flowers they’ve put out, especially after being ravaged by the deer. This yellow one has bloomed really well and has a pleasant fragrance. 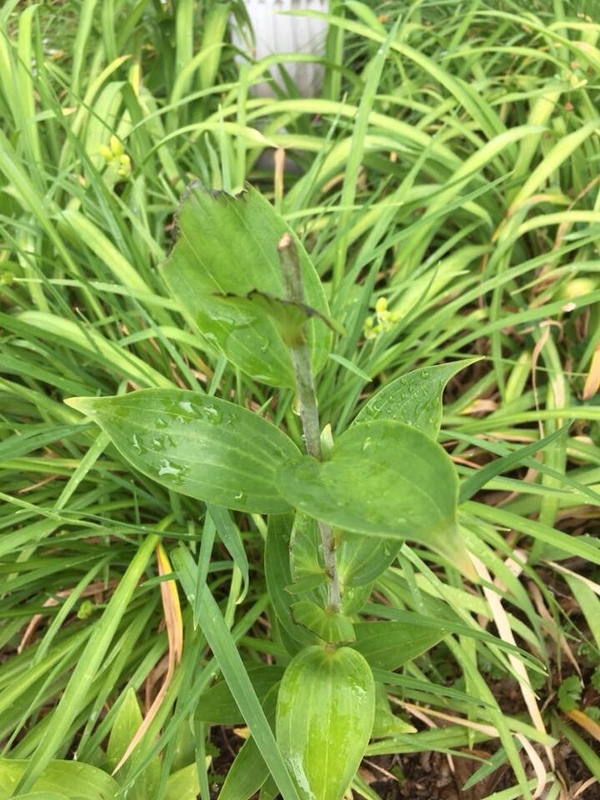 Since I didn’t get to enjoy a single fragrant Oriental Lily this year (the deer did! 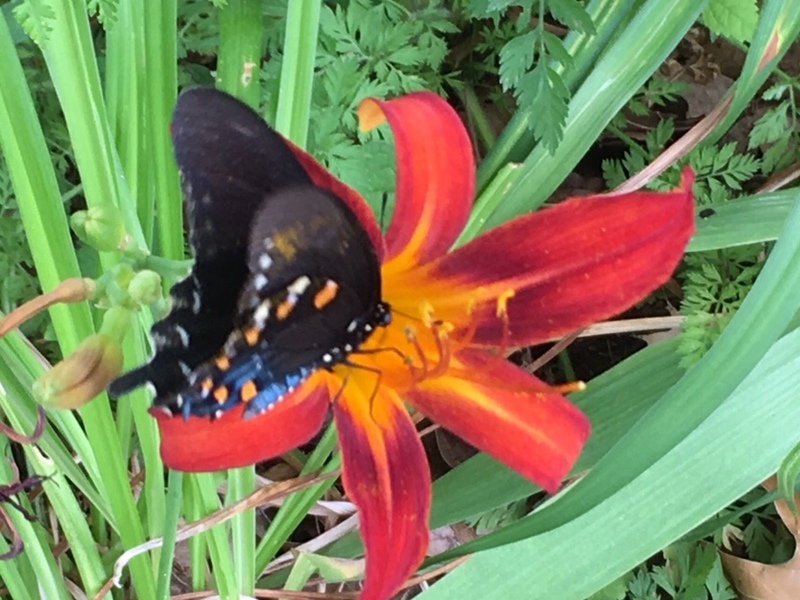 ), I’ve especially appreciated this daylily. 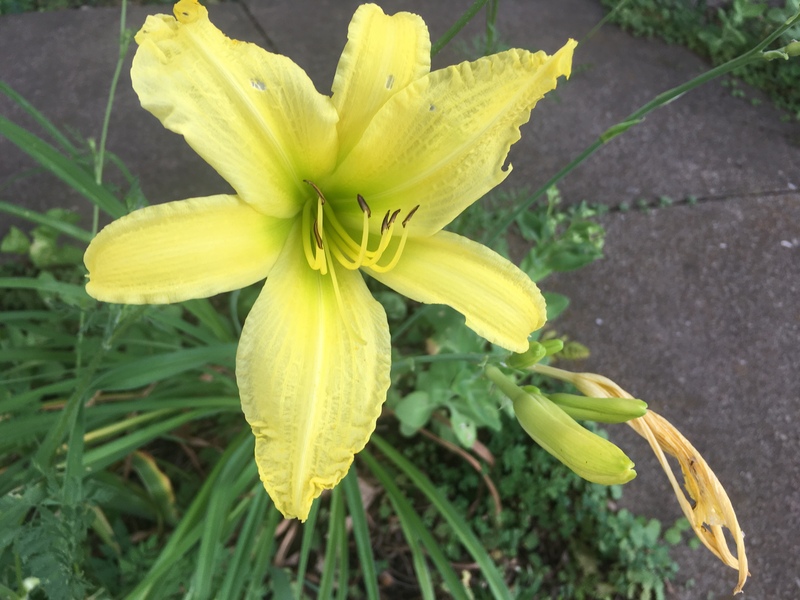 This yellow Daylily Hyperion has bloomed really well, and has a soft sweet scent. 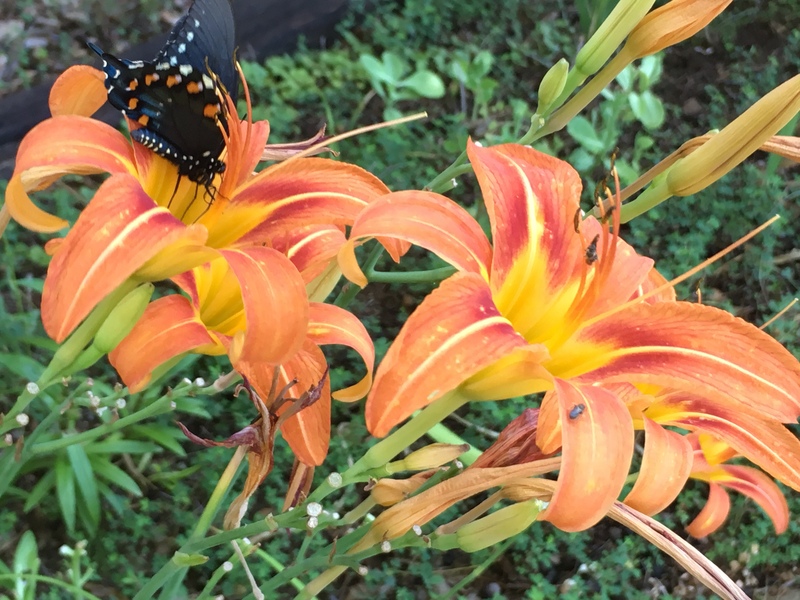 These double orange native daylilies were transplanted from elsewhere on our farm and they’ve bloomed up a storm for me. These Crimson Pirate daylilies were beautiful! I love their colors! My determination and optimism are hanging in there. It’s just a matter of time before we start to feel the approach of fall, and when that happens I’ll get excited again. While I’m out watering, I’m already thinking about what I’ll plant, so I’m going to get out my Baker Creek Heirloom Seed catalog and order some new seeds. At the top of my list is cabbage because I’ve missed having some of those beautiful plants! As I finish my post, we’ve just gotten some rain and my spirits are lifting already. Things are looking up! Last year I got to visit Baker Creek and write about them. You can read all about it in A Passion for Seeds. Don’t Delay! 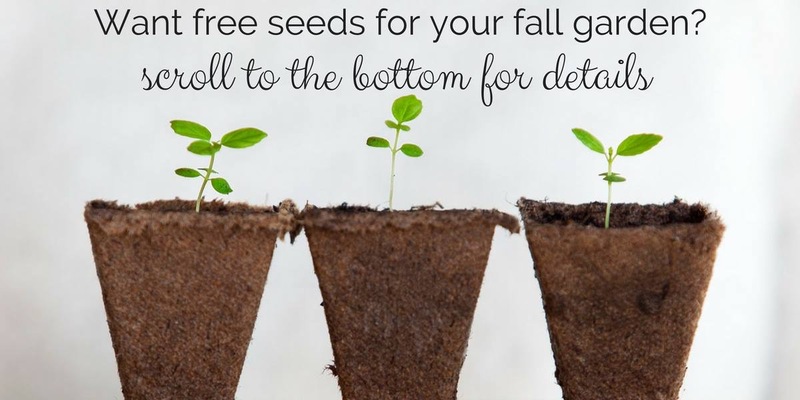 Enter Our Fall Seed Giveaway! 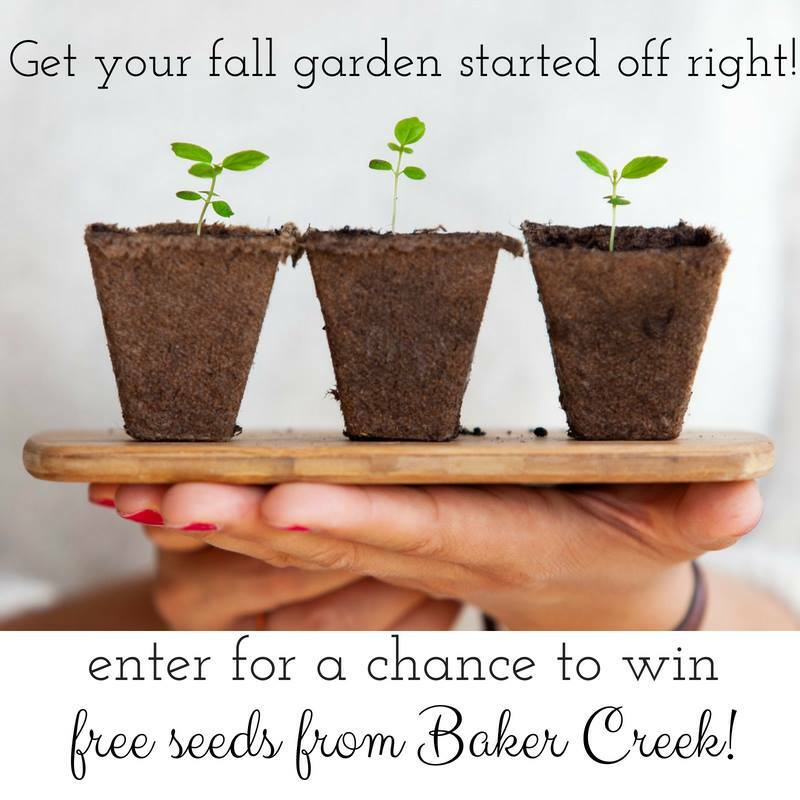 In preparation for fall, some of my friends and I are having a giveaway for Baker Creek Heirloom seeds. Please visit my friends’ blogs to see what they’re planning and don’t forget to enter our giveaway below. You could be the winner of 12 packets of seeds valued at $30! Sounds a bit like my gardening year last year! It sure is sad when all of the greenery and vivid colors fail to show up. Hopefully next year slows down for you a bit and you can spend the time you love in your gardens! Oh, I hope so, too! Here’s something to look forward to – I’m going to try to harvest some moon flower seeds and give them to you. Wish me luck because, as you know, I don’t have a very green thumb. They are so much fun so I want to give seeds to everybody! I would love that! I hope you’re successful! LOL! Sounds like you’re a glass-half-full gardener like me. Oh, well. We just have to make the best of it. It kind of helps to know that other gardeners are having a hard time, too. Some years are definitely harder than others! Thanks for sharing your story. The daylilies are so pretty! I’m glad you have those to help lift your spirits. Me, too! Thank you, Kathi! I love your daylilies! Mine came and went, not much staying power this time. I lost my crepe myrtle this year, too. It was a huge one. I wonder what happened to our Crepe Myrtles! Weird! I’ve had a discouraging gardening season as well. Between the drought and all the critters that have found my garden, there isn’t much left! But fall is coming and I’ve got a plan and a lot of hope! I hope next year is a better year for you. Thank you! Me, too. Just learning that others are having similar problems has really helped a lot. There are better season ahead! Love the Lilies! Beautiful colors! This is our very first successful garden so I definitely know how you feel! I’m glad you’ve had a good year! I’m hoping for better results in fall. I hear you! 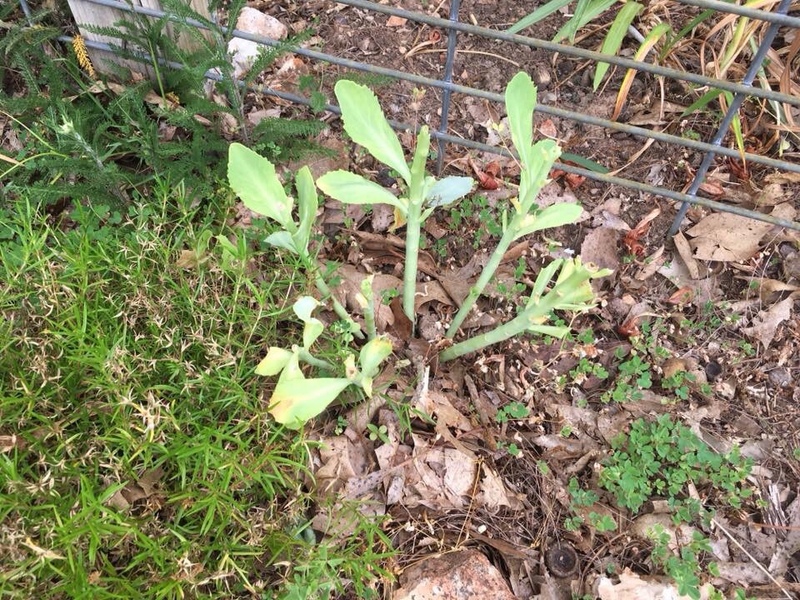 Deer have systematically eaten all the flowers in my front yard except for Shasta daisies. Haven’t seen a single daylily bloom. What’s particularly frustrating is that the deer ignore the yards of the other 90 houses in the subdivision and feast in mine.